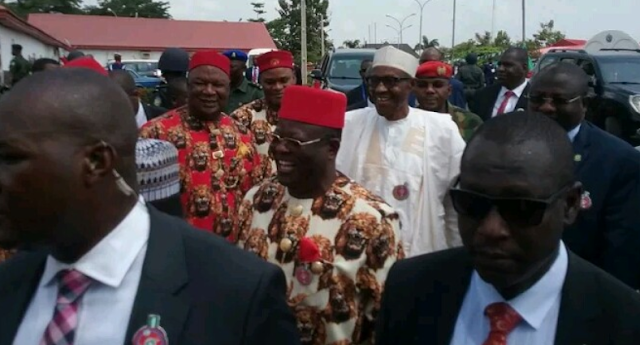 President Muhammadu Buhari has arrived in Abakaliki, the capital city of Ebonyi State for his 2-day working visit to Ebonyi and Anambra states. He arrived in the state capital via a helicopter at the Nkwoagu Military Cantonment, Abakaliki. He was received on arrival by several governors of the South East states as well as top government functionaries.